Business Membership provides access to staff rewards and incentives throughout the year. By joining Business Membership you will make a difference to the economy, culture and well-being of residents and visitors to Kendal and South Lakeland. Support the Brewery from just £480 a year and enjoy some amazing discounts and benefits. Your membership will help us continue to provide an outstanding programme of cinema, performances, learning opportunities, visual arts and more. THANK YOU TO OUR BUSINESS MEMBERS FOR YOUR CONTINUED SUPPORT AND INVOLVEMENT. Miller Clear Architects is a small design-led architectural practice based in Keswick and Kendal. We specialise in residential and mixed-use projects within the National Park and surrounding areas. We have a passion for providing practical, inspiring solutions. Berrison design and deliver training, engagement and change programmes forleaders and business teams. Training that supports change, growth, innovation and efficiency. In short: training that adds immediate value. Amy Beeton’s practice offers individually tailored consultations to effectively diagnose and treat the causes of musculo-skeletal pain, restore the body’s structural balance, and facilitate the natural healing process. Looking for a secluded holiday retreat? Beetham Holiday Homes is the natural place to be. The luxury static caravan park set in the South Lakes is full of hedgerow birds, owl’s, birds of prey, wild deer, orchids and butterflies. It will be a relaxing haven for you to be in touch with nature. FMB are a financial planning firm based in Kendal since 1987. We help people manage their finances so that they can get the most out of life. We support the Brewery because we are so lucky to have a place on our doorstep that enables so many people to enjoy life more, that’s what it is all about. Temple Heelis are specialist Cumbria solicitors with offices in Kendal, Windermere and Ambleside, offering transparent and cost effective legal services to private clients and employment litigation services to business clients. Stables, Thompson & Briscoe – Chartered accountants and registered auditors. Specialists in auditing, accounts, bookkeeping, tax advice, payroll and VAT to local businesses and individuals. Free initial consultation for new clients. Stainton Wines established in 1984 by Frank Stainton, infamous Kendal raconteur, gourmand and occasional magician! We import wine from small family owned vineyards and are proud to be associated with another great Kendal institution. Taste Cumbria on our farm shop shelves and in our tea room treats. There’s food from the farm, from our kitchen, from Cumbria and beyond. Watch our cows being milked whilst sampling treats from our tea room menu & explore the nooks & crannies of our craft and gift galleries. Lake District Estates is a family owned company based in Kendal. Our main areas of operation include residential lettings and farms in and around the Lake District National Park. We also operate within the group of businesses, Caravan Parks, Self Catering Holidays, Private Holiday Home ownership, Retail outlets, Online Shopping and two Heritage Visitor Attractions. Lake District Estates owns and manages an extensive portfolio of approximately 100 properties for residential letting purposes. The majority of our properties are located in the South Lakeland area of Kendal, Windermere and Ambleside but we also cover areas further afield such as Ravenglass, Pooley Bridge and Glenridding. Our aim is to help businesses in the Kendal area to grow by providing assistance with a range of digital marketing services. Whether you are a small business in need of a simple website or a larger business looking to develop sales revenues, by making more effective use of digital marketing techniques, our friendly team can help. Karen Bentley-Brown has over 25 years’ experience of working in business development and fundraising. Whatever your business or purpose Karen will help you develop your brand and your ‘story’ and support you to create strong relationships with your clients and customers. A great believer that doing the right things socially, economically and environmentally is good for business, Karen can also help you develop your CSR policy. Jigsaw provides day to day care, support and activities to children and young people living with a life limiting illness. Our care is provided in a home from home setting and each young person’s care is personalised towards their own needs. Our ethos is to work in partnership with the children and young adults, their family, carers and other professional. We aim to maintain the children and young adult’s normal routine and make each stay as special and as enjoyable as possible. Westmorland Homecare strive to be the homecare provider of choice for the whole of the South Lakes by changing lives, promoting wellbeing and delivering excellence at every opportunity. Their geographical area extends across the county including Kendal, Windermere, Ambleside, Grange over Sands and all the smaller surrounding rural communities. NWIMS networking and IT consultancy can provide considered technical strategies to help your company get the very best out of your network, whether you are looking to outsource all your IT requirements or compliment your existing in-house networking team. Online Systems was founded in 1992 and has become one of the region’s leading providers of telephone solutions. Their personal approach still remains at the core of our business and they can offer total commitment in serving your unique communications needs. Their Platinum Dealer status with Samsung underlines their commitment to working with the leading providers of telecom solutions which include software, phone systems, voicemail and VoIP. They offer you a global reach that is delivered locally, wherever your business might be. Online Systems first class service includes consultancy, project management, sales, installation, maintenance, training, mobiles and cheaper telephone calls. Each sales person and engineer are all trained and accredited to industry level and technical qualifications. This means they can manage everything in-house from project management, consulting, delivering and implementing solutions across our product portfolio. Providing you with the best customer service experience with competitive pricing. A dedicated team who are respected and trusted within the industry for high standards and affordable pricing. 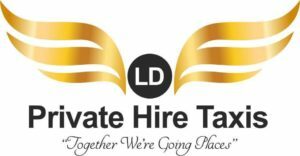 No matter what the occasion we have a range of 4-16 seater vehicles available to transport you safely and professionally to your chosen destination. Find out more about Brewery Business Membership.